John Wilson of Minneapolis has made a few alterations to his existing Stella amp kit to make a solar version of the Stella amp. 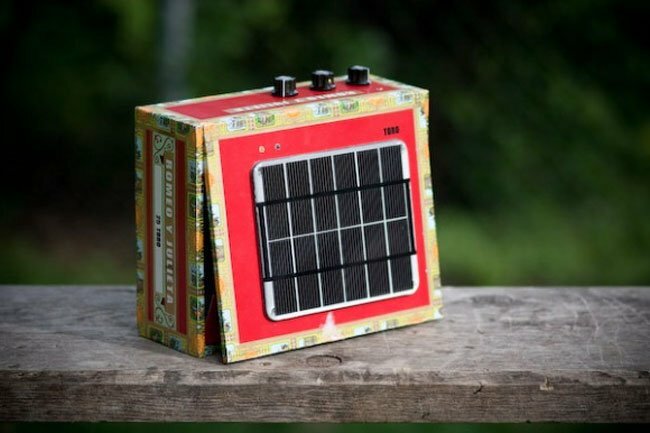 Equipped with a useful solar panel, allowing you to use the amp anywhere you have a little direct sunlight. Originally Wilson wanted to make a rugged poly-coated wood enclosure for the finished amp, that could stand up to being left outside in a light rain. Wilson wanted to finish his project before the Minne Maker Faire, and realised his wood working skills might not be up to a rush job so created the Solar Cigar Box Amp. You can purchase Wilson’s Stella Amp kit for $35 directly from his website.